Tammy Whitehead, the 11-year-old boy's aunt, published a video of the meeting on Facebook, and by Friday morning it had been viewed 4.4 million times. 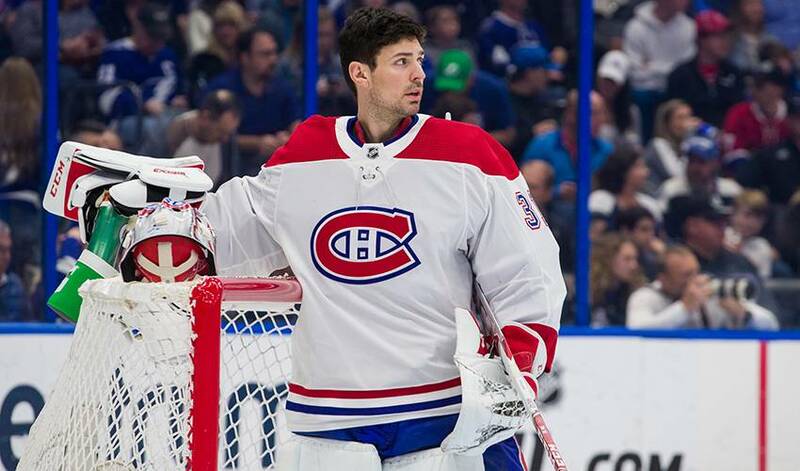 "I wanted to share this video of my nephew Anderson, meeting his idol, Carey Price of the Montreal Canadiens," Whitehead wrote. "Last year as Anderson’s mom was dying of cancer she promised she would do everything she could to make his dream come true. Unfortunately, she passed away before that could happen, but through some very kind and generous friends, we were able to arrange a visit to the morning skate." In the video, filmed at the Canadiens' practice before their Feb. 23 game in Toronto against the Maple Leafs, Price gives a long hug to a sobbing Anderson, who is wearing a Canadiens jersey with Price's number 31. Price signs goalie sticks and gives them to the boy, who says repeatedly, "Thank you so much." Whitehead called Price "a class act," writing, "Words cannot describe how much this meant to Anderson, and we are forever grateful to this wonderful man." Laura McKay of Brantford, Ont., died last November. Her death notice indicates that Anderson Whitehead was her only child.